The former head of the UN tonight told young people they had to act now to tackle climate change. 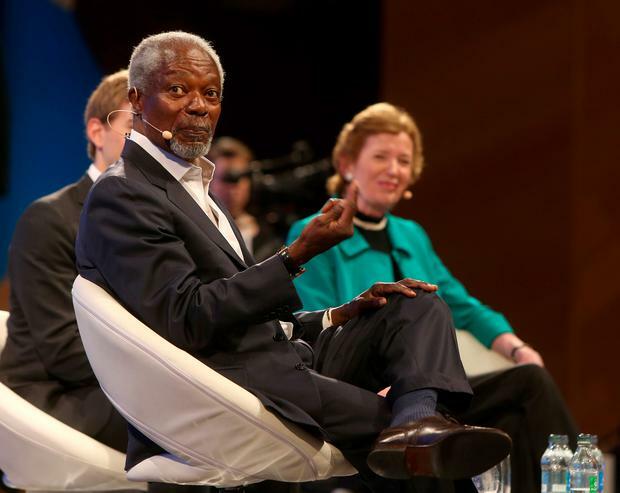 Kofi Annan and former President of Ireland Mary Robinson hosted a leadership and climate change discussion at the One Young World summit on global citizenship. He told 1,400 young leaders from all over the world that addressing the affects of climate change was a general issue, for both the young and old. “You need to get involved now to be able to take over the leadership when the generational change takes place, but you don’t have to wait for that day to act,” he told a packed auditorium in Dublin’s Convention Centre. “It is a real problem. Climate change is an all encompass threat to our way of life, our source of food, pour source of fresh water. “We don’t have to wait to act. The action must be now. You will come across people who think we should start tomorrow. “Even for those who believe action should begin tomorrow, remind them tomorrow beings now, tomorrow beings today, so lets all move forward." 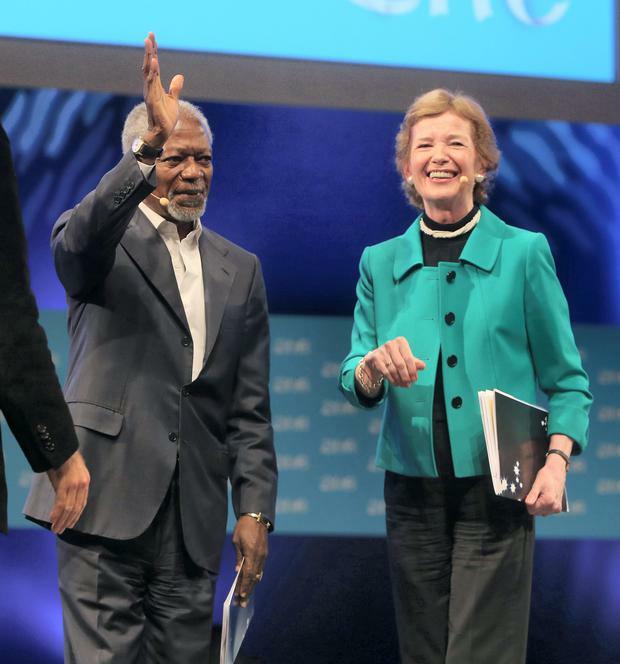 Mr Annan and Mrs Robinson, who are both Elders, got a standing ovation in the packed One Young World conference in Dublin. INM is the media partner of the summit. Mrs Robinson said families, communities and schools can make the environment a priority by making intelligent consumer choices and recycling. The Elders are an independent group of global leaders who work together for peace and human rights. Video: Bob Geldof can't wait to go to space for the "f**k off adventure of it"